Gjöll. The Background Static of Perpetual Discontent. The fourth full-length release of the icelandic duo gjöll is inspired by ‘the power of now’, a book by the spiritual author eckhard tolle which is intended to be a self-help guide for day-to-day living and stresses, the importance of living in the present moment and avoiding thoughts of the past or future. tolle calls the misery of our daily mindgrind ‘the background static of perpetual discontent’ which is what we need to refurbish out of our minds to be able experiencing joy instead of constantly seeking distraction. both the music and the lyrics on this album reflect this topic from different points of view between anger and inner peace. This wide range of tempers and feelings are musically processed with most various styles between gloomy ambient soundscapes, rhythm based industrial and piercing power electronics whereat strumming rhythm guitar blows by luca brembilla on track 3 add a heavily distorted post-rock element. 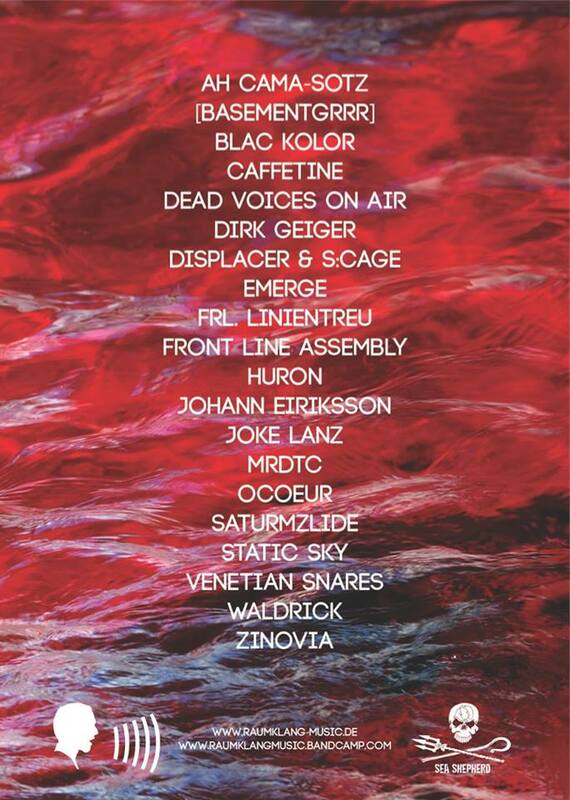 2kilos &more and black sifichi have a guest appearance on track 4, melting their unique downbeat electronica and sinister voice with gjöll’s sound spectrum: slow, grinding beats, elaborated synth / sampling treatments and intense vocals ranging from susurration to furious screaming. this diversified range of instrumentation and sounds generates augmentative atmospheres between coldness, wamth and burning heat. haunting, hypnotic, soothing and disquieting, ‘the background static of perpetual discontent’ presents an enthralling impulse for mind and body. 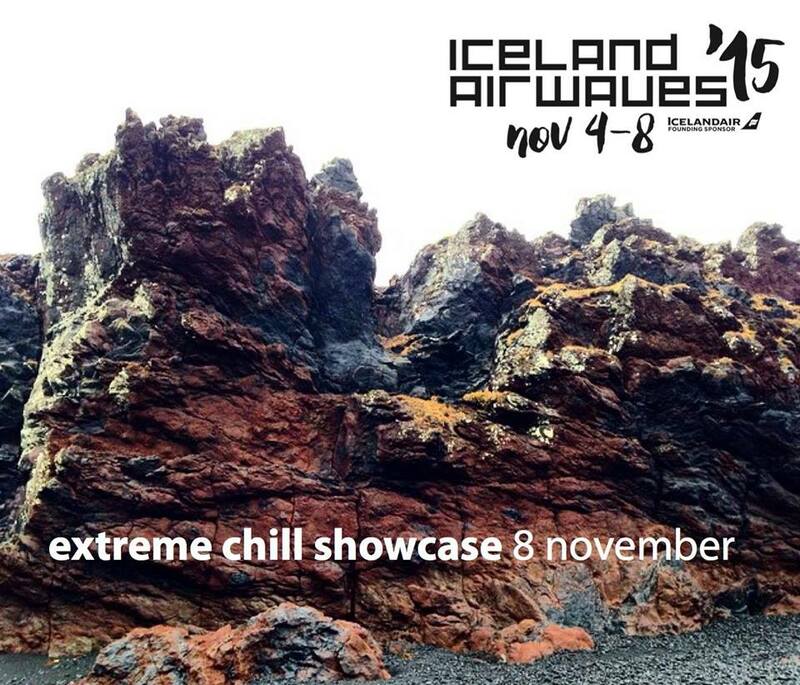 Extreme Chill Showcase at Iceland Airwaves Music Festival 2015. 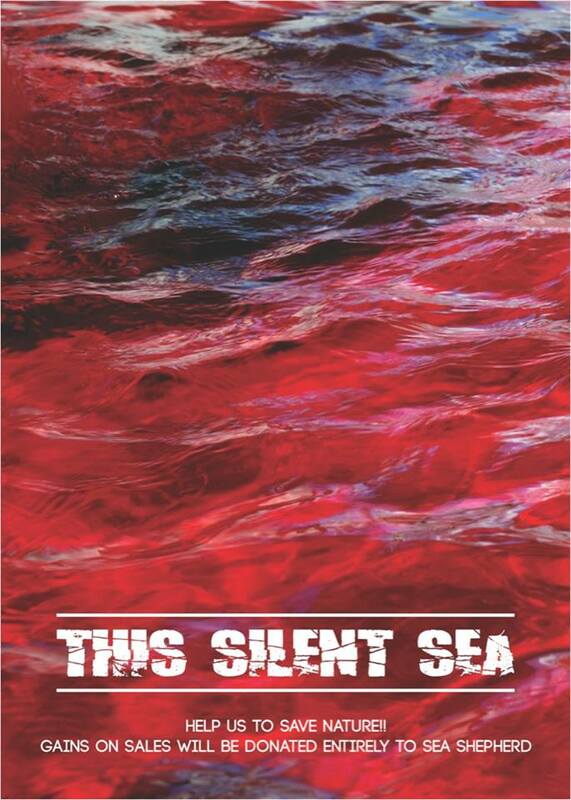 Get this beautiful compilation and help to save the oceans. All gains on sales will be donated entirely to Sea Shepherd. New release on EMF, Electronic Music Foundation. Graphic design by award winning Michael Robert Wrycraft – with special thanks to William Blakeney, Joel Chadabe and Praveer Baijal. The CD is the result of Reptilicus’ participation in the Tectonics festival in Reykjavik, organised by the Iceland Symphony Orchestra and curated by conductor Ilan Volkov. Reptilicus did various recordings of performances, rehearsals and the environment at the festival which became the basis of their own performance. In the wake of Tectonics, Reptilicus put new pieces together, manipulating and adding to the raw material collected. Among the material used (with permisson) are recordings of the works of Christian Wolff and Pauline Oliveros. In Reykjavík, the CD is available at the following stores: 12 Tónar on Skólavörðustígur; Bóksala Stúdenta on Háskólatorg; Lucky Records on Rauðarárstígur; Smekkleysa on Laugavegur; and Mengi on Óðinsgata. 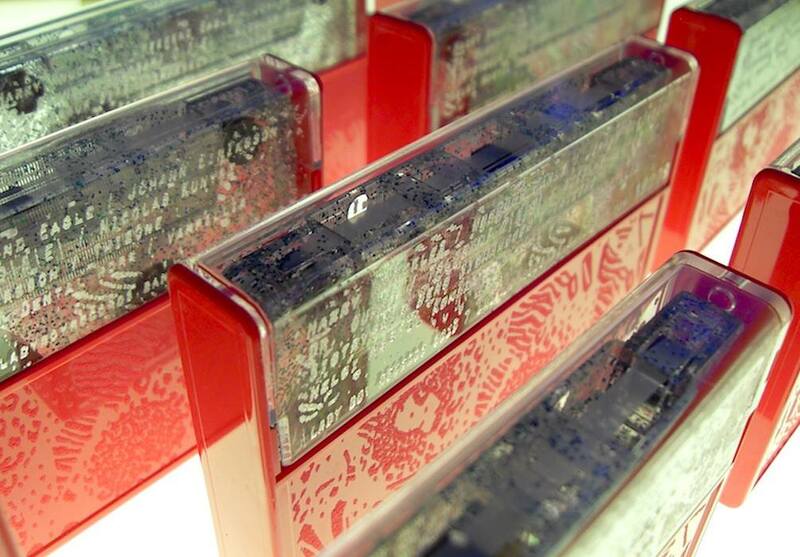 Laser engraved cassette compilation. Mixed glitter cassette in a pink case.